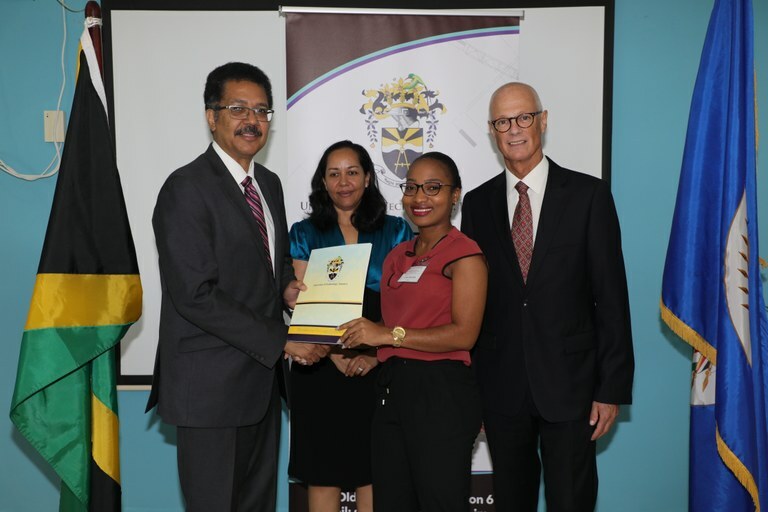 UTech, Jamaica Collaborates with the OAS-Government of Chile for Course on Hazard Mitigation and Disaster Management — UTech, Ja. In conversation (L-R) His Excellency Francisco Bernales, Non-Resident Ambassador of Chile to Jamaica, Professor Stephen Vasciannie, President, University of Technology, Jamaica and Jeanelle van GlaanenWeygel, OAS Resident Representative in Jamaica before the start of the welcome and opening ceremony for the OAS-Government of Chile/UTech, Jamaica scholarship programme for the delivery of a short course on Hazard Mitigation and Disaster Management for Member States in CARICOM. 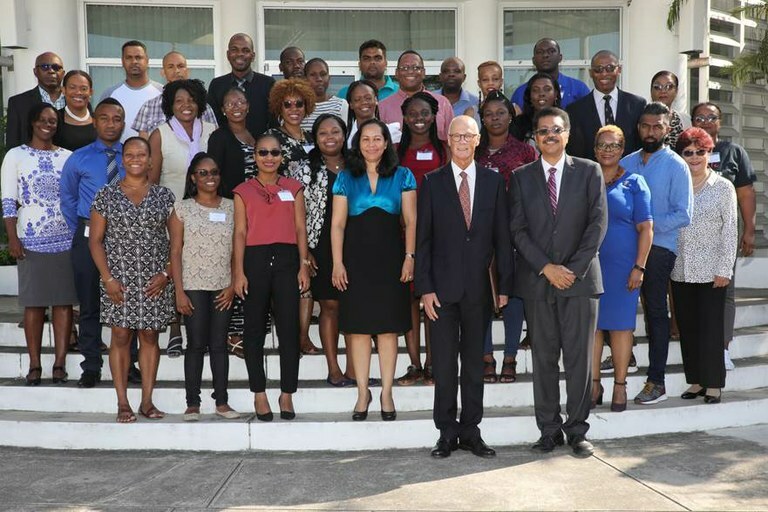 The University of Technology, Jamaica has collaborated with the Organisation of American States (OAS) through its partnership with the Government of Chile for the delivery of a short course on Hazard Mitigation and Disaster Management for Member States who are also members of the Caribbean Community. The short course is intended to strengthen the capabilities of CARICOM Member States in the areas of Disaster Risk Management, Climate Change Adaptation and building climate resilience. A special welcome and opening ceremony for the 25 scholarship recipients drawn from eight OAS Member States in CARICOM (Barbados, Guyana, Dominica, St. Lucia, St. Vincent and the Grenadines, Saint Kitts and Nevis, Trinidad and Tobago and Jamaica) was held on Monday, November 5, 2018 at the Technology Innovation Centre, UTech, Jamaica Papine Campus. The Hazard Mitigation and Disaster Management course developed by the University’s Faculty of The Built Environment is being delivered over six days from November 4 – 10, 2018 at the Papine Campus. The course instructor is Professor Balfour Spence, Professor of Applied Disaster and Emergency Studies, Brandon University, Canada. The programme is being coordinated by Dr. Claire Sutherland, Senior Director, International and Institutional Linkages, Office of the President, UTech Jamaica. She underscored that the education and training opportunity offered by the OAS-Government of Chile/UTech, Jamaica Hazard Mitigation and Disaster Management course is “aimed at reducing the vulnerability of communities to climate-related hazards, building their resilience, and ultimately to sustainable development. The ceremony was chaired by Dr. Claire Sutherland. 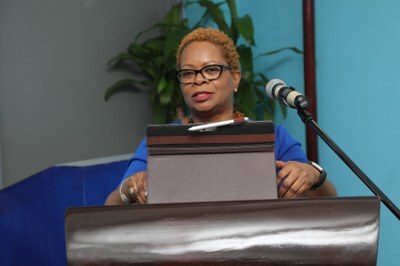 In her remarks she thanked all persons at UTech, Jamaica and the OAS who have been working together to ensure the success of the programme, including Dr. Garfield Young, Dean, Faculty of The Built Environment and his team in the faculty, and Miss Nichole Duncan from the OAS Department of Human Development, Education and Employment Scholarships and Training Programs. 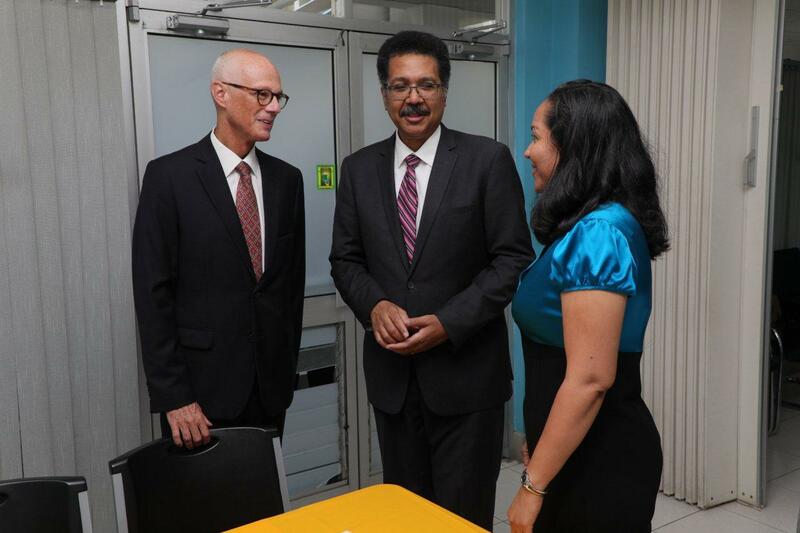 Professor Stephen Vasciannie, (left) Jeanelle van GlaanenWeygel and His Excellency Francisco Bernales (right) participated in handing out scholarship packages to the participants. 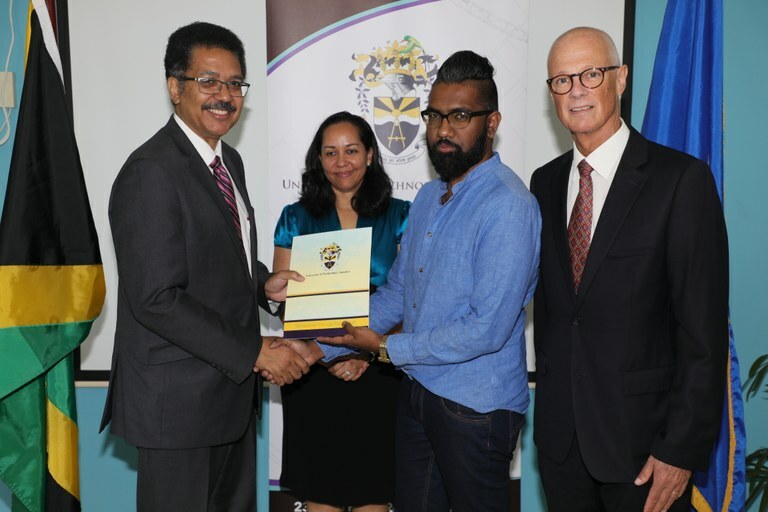 Troy Mendoza, (3rd left) Disaster Management Officer, Ministry of Planning and Economic Development, Trinidad and Tobago receives his scholarship package. Below, Krissan Meredith, Spatial Analyst/GIS Technician, Kingston and St. Andrew Municipal Corporation (KSAC) receives her scholarship package. Stakeholders from the OAS, Government of Chile and the University of Technology, Jamaica pose for a group photograph with the participants in the OAS-Government of Chile/UTech, Jamaica scholarship programme for the delivery of a short course on Hazard Mitigation and Disaster Management for Member States in CARICOM following the opening ceremony at the TIC, Papine Campus on Monday, November 5, 2018.